Great website full of political cartoons! Great to use with Hamlet! 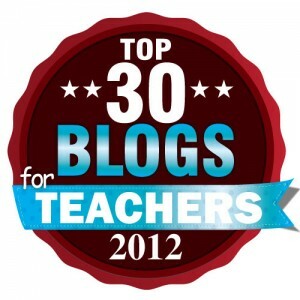 Great ideas for starting a Shakespeare unit! A 16 yr old writes to authors to question their use of symbolism in their works and receives answers from 75 of them. An example of plagiarism in college. Great reflection questions for students. Would be interesting to use a few times per marking period. Described as “Garden State meets Nick and Norah’s Infinite Playlist”, Wintertown is a book I have been looking forward to reading. I am probably the world’s biggest “Garden State” fan, so it sounded perfect. Fortunately, I was not disappointed! First, the structure of the book is unexpected. There are illustrations throughout the book, so upon first glance one might think it is a graphic novel. However, the prose is narrative. 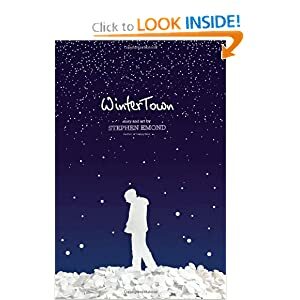 There are not a lot of illustrated YA novels out there and I think Wintertown will hit the sweet spot for many readers. I am not a big fan of comics, but I found myself drawn to the comics at the beginning of each chapter. In fact, I think I would read a graphic novel based on the comic strip! Evan is preppy. He is Ivy-League bound, works hard at school, and wants to make his parents happy. His best friend Lucy moved away a few years ago, after her parents’ divorce, but Evan looks forward to her annual visit each winter. But this year, something is different. New Lucy arrives in town with short choppy dyed-solid-black hair. New Lucy suddenly has a nose piercing. Evan is shocked that she smokes and drinks now. Even worse? This New Lucy is always angry, quiet and moody. She no longer opens up to Evan and it’s like they aren’t even friends. Evan is a good guy. He knows that the real Lucy, Old Lucy, is buried somewhere beneath this new facade. But after a few days he isn’t so sure. He doesn’t know how to be her friend even though he is pretty sure she needs a friend more than ever right now. The POV changes from Evan to Lucy halfway through the book and you get to see Lucy’s point-of-view. While I did not particularly like Lucy, I appreciated the change. Seeing the events of the book through her eyes softened my feelings toward her a bit. She has had a hard life, one much harder than those around her realize. Being “tough” is her coping strategy. But she also wants to help Evan. She needs to convince him that he has to take control of his future instead of letting his father dictate his life’s path. But can she do that when she can’t even hold a real conversation with Evan? This is a great coming of age story that will resonate with boys and girls. The comic strips and illustrations add another dimension to the story that is very much appreciated. The issues the characters experience are relatable and I think they will ring true for contemporary fans. I look forward to sharing this with my readers. Recommended for high school classroom libraries. The reason for the extra silence is that I am currently working on my National Board Certification. It was a last-minute decision this year because NJ is only offering partial funding until the end of 2011. Thus, I am working on portfolio entries! Is anyone else a National Board candidate this year?